Dancers struggle with injury, eating disorders and finances, but they love the life. Many ballerinas struggle with eating disorders and extreme dieting trying to fit in with the traditional definition of the ideal ballerina body type, but athletic-built ballerinas are changing the scene and the world of ballet. Apart from a few major dance companies, dancers are not being paid well. In the case of an injury, they lose their company salary and struggle to make ends meet while recovering. 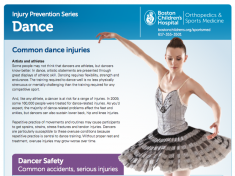 Injuries affect dancers’ bodies and minds alike. The culture of tolerance and dancing through the pain can result in longer recovery time and often dancers feel like the are not adequate resources for their particular situation, but with the rise of sports psychology and sports medicine dancers are getting better post injury care. 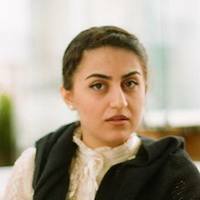 Shahrzad Sajadi is graduate student of journalism at Emerson College. She is from Tehran, Iran and like her namesake Scheherazade the storyteller, she loves telling people's stories.